Welcome to the UE4jam! Every quarter Unreal Engine hosts the UE4jam to give developers a chance to polish their skills and compete for awesome prizes! Work alone or with a team (up to 5 members) to make the most incredible project based on the theme in Unreal Engine 4, and submit before the deadline. Please read all of the details for how to participate! The game must include custom gameplay that exceeds that found in Epic Games’ starter templates. All art assets in the game must have a material other than the default applied to it. Must be packaged for Android (unfortunately there are limitations with iOS), Windows or Mac OS. No full, unpackaged projects. VR projects are accepted. Android games can be distributed via the Play store as well. In Unreal Engine game jam tradition, we'll be kicking this one off and announcing the theme on the livestream on June 29th at 2PM ET and giving participants a few days to create and submit an awesome game built in the engine. The SUBMISSION THREAD will go live and be available just before the theme is announce. The jam ends on Tuesday, July 4th at 2PM ET. A small panel at Epic will judge entries on the following criteria. Winners will be announced on the July 20th Unreal Livestream which starts at 2PM ET. The winners of all categories will receive an Epic Swag Box with all sorts of goodies, a "Game Jam Finalist" forum badge, a featured playthrough on the Twitch stream. The winners of the Major Categories will also receive a highlight on Unreal Engine launcher! All members of the teams who win the Major Categories will receive a 730 Series 2.5 480GB SATA 6Gb/s MLC Solid State Drive provided by Intel's Achievement Unlocked program. Join them and sign up to receive monthly game developer content, special offers, announcements, and news about events like the Level Up contest. In addition to the Epic Swag Box, each member of the winning teams of the Major and Specialty categories will be receiving a one-year Houdini license provided by SideFX. Houdini is an amazing tool can be used with UE4 through the official Houdini plugin. All finalists will also be receiving marketplace packs from C-MEDIA, which specializes in advanced materials and realistic models Ancient Cistern, Advanced Materials Edition 2, and Advanced Materials Edition 4. Kubold is providing 8 animation collections from their humanoid Marketplace animation packs. These animation sets are built for movement and all sorts of combat; fisticuffs, swordplay and firearms! They make a fine addition to any game. Synty Studios joined our sponsors for the Summer Jam and will be providing their Marketplace packs to the UE4jam finalists as well. There are several awesome collections of models that can be used over a wide variety of projects. Their simply designed characters and environments are great for stylized games or prototyping. Luos Arts is run by Yoeri Vleer, who is well known for his particle effects. Luos Arts is contributing prizes to all category winners, who will be able to pick 3 of their packs from the marketplace as their reward! Please take a look at all of their packs on the marketplace. Also be sure to look into Yoeri's youtube page and twitter account for more particle effects. All participants of the UE4jam will be given access to Assembla's platform for game development teams to build iterations of their game using their Perforce repositories. As a project management platform, Assembla is an effective asset to any gaming developer, and we are excited to watch Assembla’s continuing emergence within the game development community. To get access to the Perforce server, PM me that you will need access and your team's email addresses. Please also check out tutorials on using Assembla and Perforce beforehand. Assembla is the task and code management tool that enables game developers to manage their entire game project in one place. As the only on-demand Perforce provider in the cloud and the #1 SVN hosting provider in the world, developers all over the world choose Assembla for their high performance and security needs. Please send me a PM with your team name and number of team members and we'll get you added to the list! If you have not made enough posts to use the PM system, then feel free to post in the thread here instead. Blessing In Dream - Roh Brothers. Last edited by Amanda.Bott; 07-20-2017, 03:36 PM. Tuesday - July 6th - Check your Calendar buddy! Hey! Yeah, the 6th was a mistake. 4th is a holiday for Americans but the 5 days before are all open times to submit as well. Sweet extra day, enough time to add more awesome. I offer my modest skills on ue4 , I have some skills on BP , behavior tree , also do pixel art and voxel models and chip tunes 8 bits if its helps . I want to participate on a team. So let me know !! Woo-hoo, just as the Ludum Dare 38 hype dies off, The UE4 Summer Jam is here! I must say, this was my first Ludum Dare, and I think Ludum Dare does a tremendously better job that the UE4Jam at gathering constructive feedback and visibility for game entries. Does Epic have plans to increase community involvement and feedback for UE4Jam entries, or is it mainly about the swag? I really enjoy what Epic has setup here, but it seems like there's little visibility for submissions unless a fellow developer does a stream or they win a category. This is perfect timing....I am just getting some old buddies back together for development. The Jam will be the perfect way to streamline our workflows. Will definitely be getting submission details to you guys soon. Bob from Intel here again. 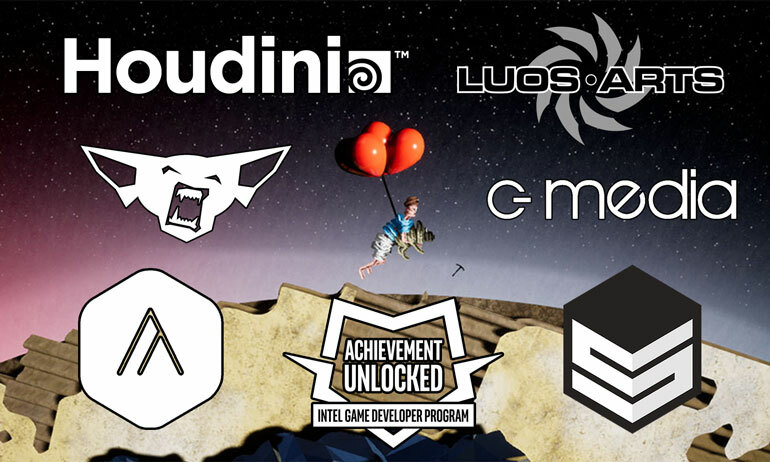 The Level Up contest is closed for the year, but I we'd still love to see you over at software.intel.com/gamedev. I'm looking forward to the Livestream, I should be in the Twitch Chat. You can also grab me on Twitter [MENTION=216879]BigBo[/MENTION]bGardner. Looking forward to seeing what you guys put together, the Spring Jam was awesome. Our team would love to participate, this will be our first jam!